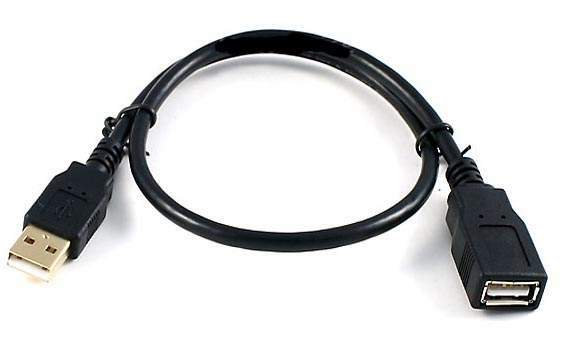 USB 2.0 Type-A Male to Type-A Female Interface Cable . USB 2.0 Type-A Male to Type-A Female Extension Cable. USB 2.0 cable with a Type A male on one end and Type-A female on the other. Used to extend USB cables. Black Color.